ABERDEEN – As a former architect, Farshid Mirzaei (pronounced FAR-sheed Meer-ZAY) designed houses, office buildings, and managed architectural projects. He never dreamed one day he would wind up in prison. And love it. 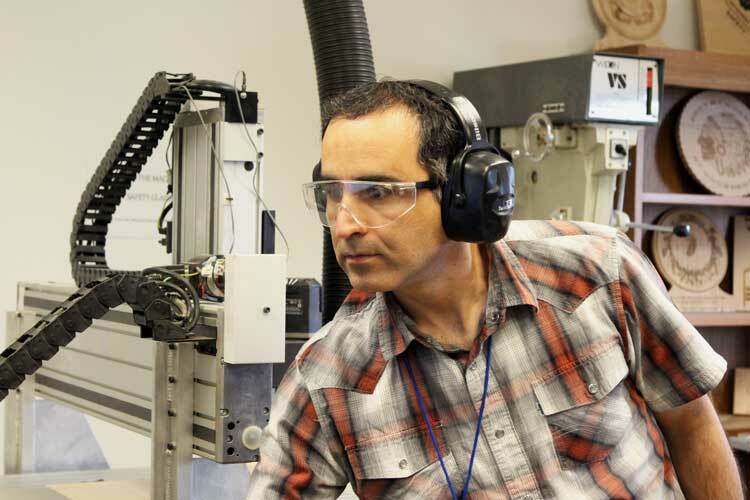 Mirzaei is the Technical Design and Computer Numeric Control (CNC) Machine Technology instructor for Grays Harbor College at Stafford Creek Corrections Center (SCCC), located about nine miles southwest of Aberdeen. Computer numerical control is a large part of computer-aided drafting and design (CAD). 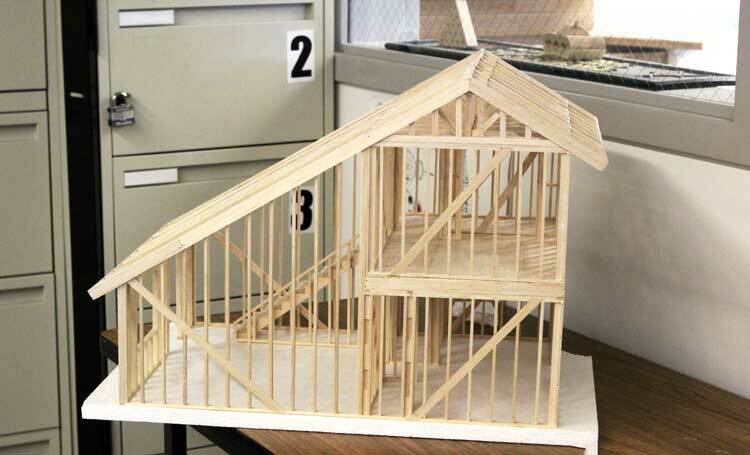 CAD uses computer software to create 2-D and 3-D models of tangible objects such as bridges, buildings, or mechanical parts. Mirzaei said he was “afraid at first,” about taking the job because any prior knowledge he had about American prisons came from films like Escape From Alcatraz and The Rock. About two dozen inmates are currently enrolled in Mirzaei’s computer numerical design and technical design courses, which he teaches four days a week. Mirzaei was born in the Kurdistan province of Iran. He attended the University of Tehran and earned a master’s degree in architecture in 1997. He worked as a licensed architect for a few years after graduation. However, he felt there was something missing in his personal growth. He said much of the modern technologies used in construction, such as certain materials or software, were not used widely in Iran, making overall job growth slow. Mirzaei decided to immigrate to Toronto, Canada in 2002 to enhance his technological skills and seek better work and life prospects. Additionally, he took a series of leadership and self-development training workshops through The Landmark Forum in Toronto so he could teach CAD outside of his regular work. Mirzaei was the first in his family to immigrate to the western hemisphere. He said limitation to technologies and resources in Iran are some of the reasons he wanted to start a new life in the west. MODULAR Housing System, a design firm in Los Angeles, California, invited Mirzaei to work on new technology related to aluminum building structures, computer-assisted drafting designs and 3-D detail modeling in 2006. In 2007, he became Project Architect at Callison, an architectural firm in Santa Monica, California. In 2009, the Great Recession eliminated most jobs in the construction industry, which also meant there was less work for architects. So Mirzaei turned to teaching jobs. 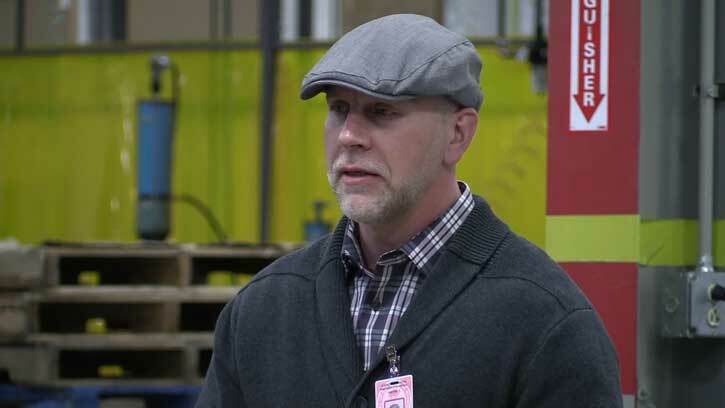 Later that year, Pierce College offered him a position at the former McNeil Island Corrections Center, teaching technical design and CNC machine technology. When the McNeil Island prison closed in 2012, Department of Corrections officials made an agreement with Grays Harbor Community College and moved the classes to SCCC. Mirzaei became the instructor. Though he was a little apprehensive at first, Mirzaei says he now gets more satisfaction working at a prison compared to all his previous jobs. He finds joy when he can help his students see the world around them differently. Jay Pershing says he’s an example of that. He was incarcerated for seven years at SCCC on identity theft charges. 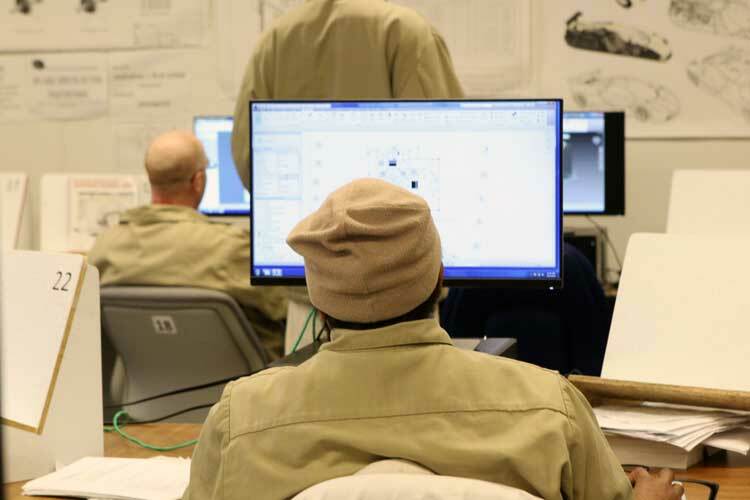 During that time, he learned how to use a computer numerical control machine through the prison’s Correctional Industries inmate work development program. That experience kindled an interest in drafting and design, so Pershing enrolled in Mirzaei’s classes. He learned how to read shop drawings, basic drafting and technical design, and use CAD equipment and earned a technical design certificate. Within a few months after his prison release in 2014, Pershing landed a job as a machinist at a CNC machining and fabrication company in Kirkland, Wash. Since then, he’s promoted to the company’s lead programmer and drafter. He says skills he learned in class and Mirzaei’s encouragement helped motivate him to get where he is today. Mirzaei says skills gained through his classes can open up doors to jobs in all types of industries. 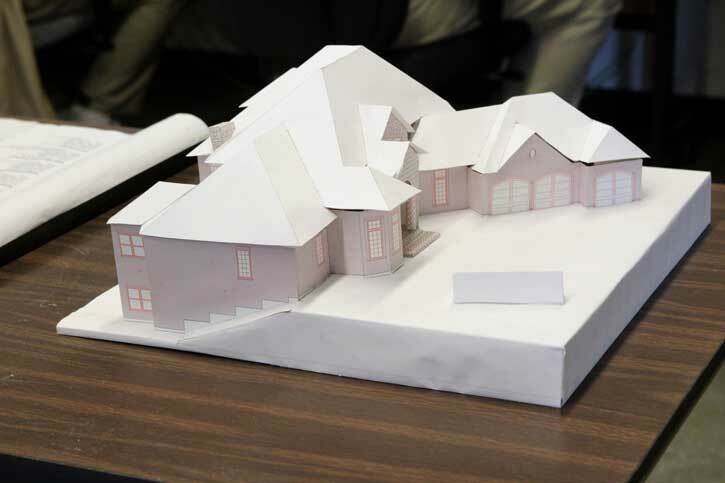 CAD is not limited to building construction. For example, CAD can be used to make airplane parts, or to create models of human body systems used by doctors and researchers to make advancements in the medical field. 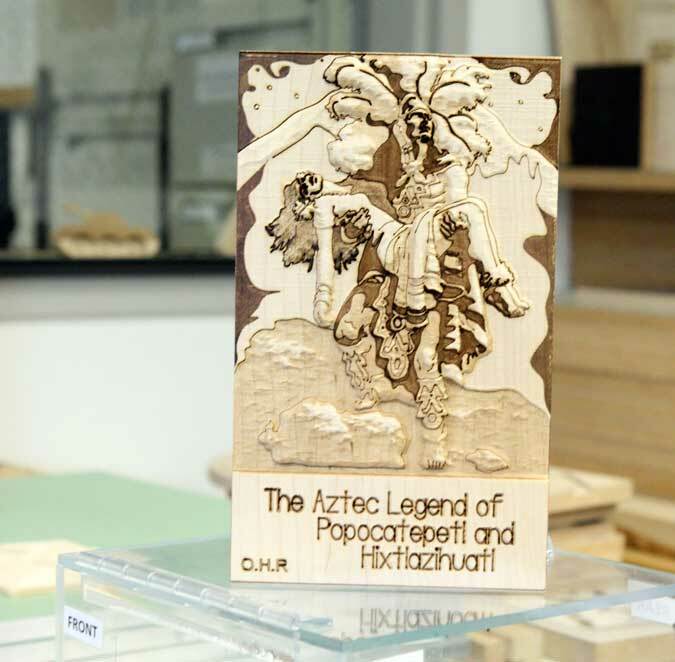 In recent years, CAD has also been used in the gaming industry to create designs in augmented reality systems. 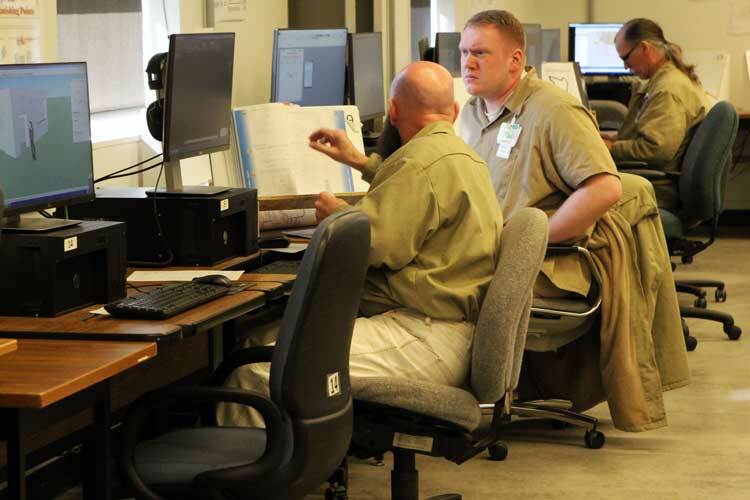 The department currently offers various computer-aided design courses at four of its prisons. In addition to SCCC, classes are offered at the Washington Corrections Center for Women in Gig Harbor, Washington, Coyote Ridge Corrections Center in Connell, Washington, and Washington State Penitentiary in Walla Walla, Washington. Since 1997, inmates earned 753 certificates from these classes. People who complete CAD courses have the potential to earn high wages. The median annual wage for machinists in 2016—the most current year of published data-was $41,700, according to the U.S. Bureau of Labor Statistics (BLS). Median annual wages for drafters were slightly higher, at $53,480. The BLS projects employment for drafters to grow 7 percent through 2026 due to increased construction activity. Employment for machinists is expected to grow by only 1 percent during the same period, with most job openings resulting from retiring workers. It’s a career inmate Joseph Gardener wants to pursue after his expected release date in 2021. He hopes gaining vocational skills behind bars will help him be a good role model for his two adult daughters, allow him to make an honest living and stay out of prison. He has hopes of becoming an architectural engineer. Mirzaei says one of the most satisfying things about being a prison teacher is seeing his students motivated to do well in life, when they may not have had any motivation before.